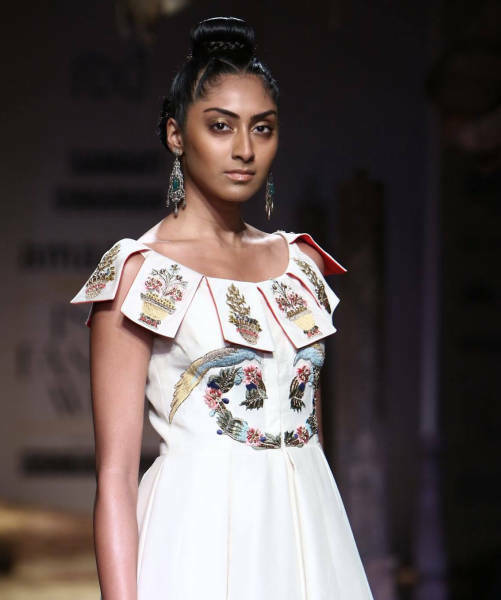 The day 2 of Amazon India Fashion Week was a treat for handloom lovers. The day began with show of Pinnacle by Shruti Sancheti, the famous designer who gave handloom a contemporary look and helped it to reach global market. Followed by the show of Studio Virtues by Ashish,Viral, and Vikrant. I loved their show and the motive behind it-they brought a weaving art from a small of village of Orissa called ‘Kotpad’, never heard, never seen; but their weaving was simply beautiful. 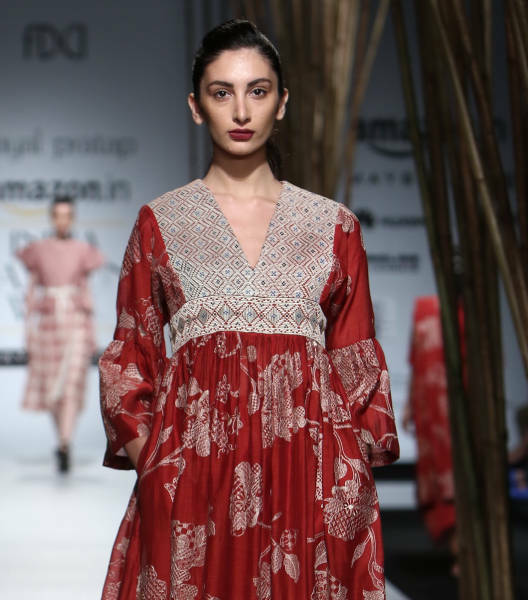 I am loving every bit of Amazon India Fashion Week Spring Summer ’17 because it has brought so much of handloom treat for us. Its such a visual delight to see hand woven fabrics translated into masterpieces by eminent designers.